BP's new CEO is the quintessential insider and he knows he has to arrest the company's decline in fortune. 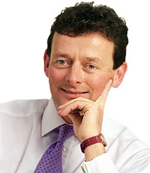 Tony Hayward had been mentioned as a possible future chief executive of BP long before Lord Browne's announcement in January that he will leave the company this summer. As one of the first 'turtles' - a company nickname for a group of favoured individuals who prepared for senior roles by being constantly at Lord Browne's elbow - Hayward was among a small group of internal candidates from which the next leader was always likely to be drawn. The quintessential insider, Hayward joined BP straight after university in 1982 and enjoyed rapid advancement before being appointed head of the exploration and production division in 2003. He faces some steep challenges. In January, a commission led by former US Secretary of State James Baker published a report on the 2005 explosion at a BP refinery in Texas that claimed 15 lives. It accused BP of failing to provide adequate resources to ensure safety at its US refineries. Last year BP was forced to shut the eastern area of its Prudhoe Bay oilfield in Alaska, one of the biggest oilfields in North America, following the discovery of corrosion in oil pipes. It is also being investigated by the US Commodities & Futures Trading Commission over alleged manipulation of propane gas prices in 2004. The emergence of major new companies in the energy industry has also left BP vulnerable. It has fallen from the number two spot in terms of market capitalisation to fifth, behind Gazprom and PetroChina. BP's decline in fortune has tainted Lord Browne's reputation: he is accused by some of presiding over a culture of cost-cutting and slack practice that ultimately led to the Texas tragedy. Hayward cuts a more modest figure. Addressing US employees in December, he said: "We have a leadership style that probably is too directive and doesn't listen sufficiently well. The top of the organisation doesn't listen hard enough to what the bottom is saying." Given BP's recent difficulties and the increasingly difficult environment in which it operates (80% of the world's oil reserves belong to national oil companies), Hayward's more humble style may be just what the company needs. Gazprom was carved out of the former Russian gas ministry in 1989 and privatised in 1993. In the late 1990s, investigations revealed widespread corruption, prompting President Vladimir Putin to instigate reforms. In 2001, Alexei Miller, a loyal protege of Putin, was appointed CEO. Since Miller took charge, Gazprom has been brought under the control of the government and has pursued an aggressive expansion policy. In 2005 it bought 72.6% of oil company Sibneft (now Gazprom Neft), and in December last year acquired a 51% stake in Royal Dutch Shell's Sakhalin-II project. Export revenues soared 43% last year to a record $37.2 billion, benefiting from higher gas wholesale prices in 2006. It is now the world's second largest oil company by market capitalisation after ExxonMobil and the world's largest gas producer, supplying a quarter of Europe's gas needs. However, it has ruthlessly exploited east Europe's dependence on it by threatening to cut supplies to Ukraine, Georgia and Bulgaria if price increases were not agreed. The disputes have led to accusations that the Russian government is using Gazprom as a foreign policy tool to control its neighbours.